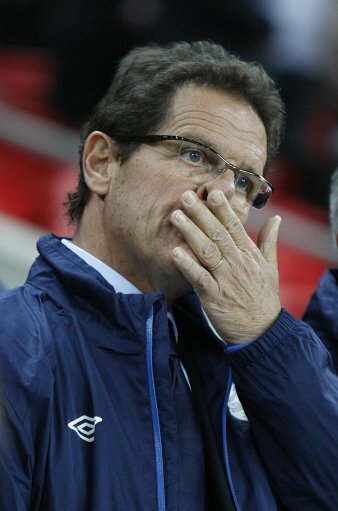 The agent (and son) of England manager Fabio Capello has insisted that his client/father doesn’t have a secret agreement with Manchester City and/or Inter Milan to take step into the breach should either club choose to sack their respective incumbents at any point in the near future. “I honestly don’t believe he would sign an agreement with anyone without asking me about it. “I will be really honest and open with you. I know nothing about my father joining a club in Italy, in England or anywhere else and I speak with Fabio every day. “And I do not believe he has agreed any secret deal with any club. He is not the kind of man who would make an agreement like that. If anything was happening, I would know. Was anybody out there actually labouring under the illusion that Capello did have a secret agreement in place with anyone? No? Me neither. Well to be fair, it wouldn’t be much of a ‘secret’ agreement if he confirmed it.